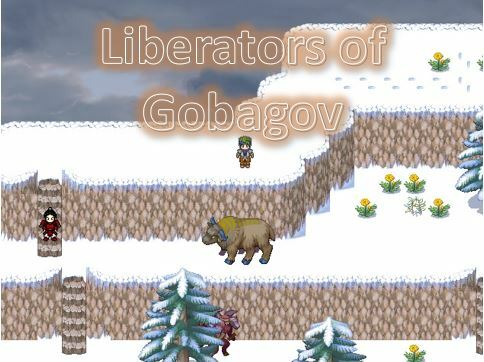 The Liberators of Gobagov - Website of reckersworld! A number of years ago I spent hours and hours developing this humorous RPG game in RPG Maker XP. I spent so much time on it, I don't even want to try to recall just how much. 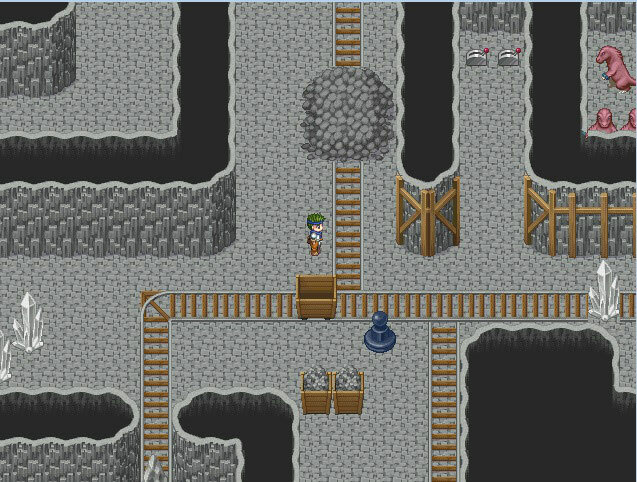 My efforts produced a huge turn-based RPG game with some similarities to the Suikoden series of video games from the 90s. A young warrior, Rok is hiding in a small town. He is the son of a rebel general who opposes the evil tyrant King Granch. A bounty hunter tracks down his father and mortally wounds him, but before he dies, his father instructs Rok to bring together the remaining rebel generals to take down King Granch. However it won't be simple as each general is hiding out in places Granch can't find them. Dangerous places that will be perilous for Rok and his small band of allies to venture into. Rok must set up a base in an abandoned city and gather his forces so that he can invade Gobagov and put an end to King Granch's tyranny. Puzzles to solve. 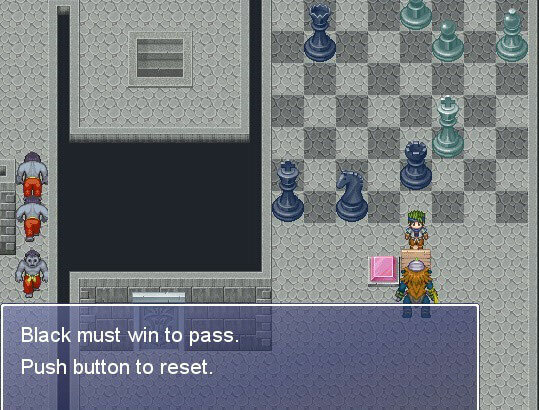 In this labrynth move your chess piece to the winning position. Visit the bar where nobody wants to know your name. Booz! 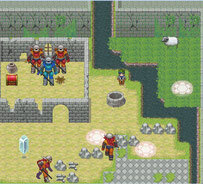 - Recruit fighters for your battle party with various skills, eg, wizards, thieves, archers. You choose who gets to be in your battle party. - Level up, promote your battle party members and develop new battle skills and magic. - No random battles. 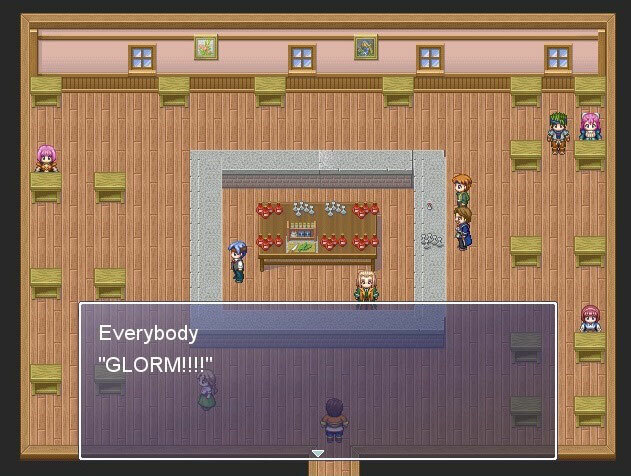 All monsters/enemies roam the world. You can see them coming and can even avoid some of them. - Populate and develop your city by recruiting people on your travels, eg merchants, workers. Some may require you to perform tasks before they join you. - Make governing decisions that will have an effect on your people. - Travel to numerous towns with amusing themes, like Snobsville, Boozetown, City of Crooks. 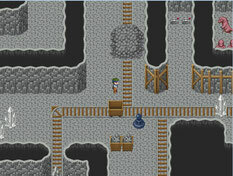 - Fight your way through a vast world of caves, forests and dungeons, solving puzzles to help you advance. 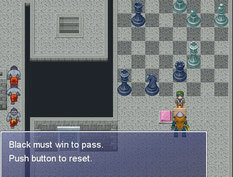 - Undertake numerous side quests, which help you gain special items, skills and money. Your quest book helps you keep track of these. Monsters wander the land, but you can avoid many if you wish to take the cowardly approach. Push this cart of unstable dynamite and open a path.